This ultra-minimal puzzler looks like a living subway map, but it's hardly one-dimensional. Most of us know well the frustrations of public transportation. Trains and buses are often late, overcrowded, dirty, and filled with other irritated passengers. And yet we take transport for granted and forget about the massive infrastructure behind moving people around cities, and how incredibly complex and difficult it must be to not only plot out such a system, but then execute it properly every single day. 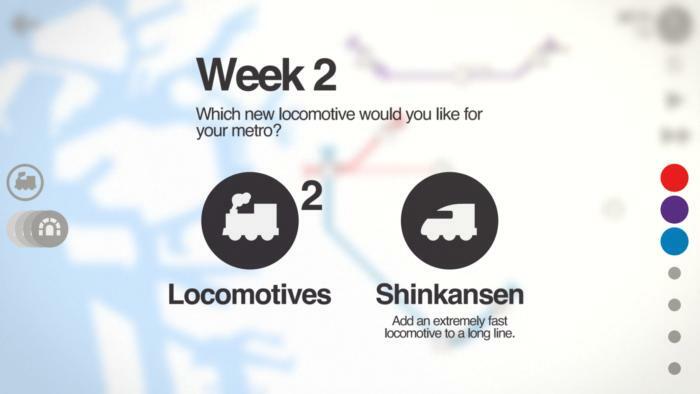 Let Mini Metro be your reality check: it’s a puzzle game designed around building a subway system, connecting far-flung stations with different train lines to ensure that everyone gets to where they need to be in a timely fashion. Mini Metro began life as a free web game before hitting Mac and PC as a full-fledged release last year, and now it feels right at home on iPhone and iPad as you draw paths between stations and stretch lines to accommodate new destinations as cities expand. Can you create a better subway system for New York City? Good luck with that. Despite the lightweight aesthetic, which is smartly modeled after subway line posters, Mini Metro is a game of growing complexity. Getting the first several stations connected is a breeze, but as ridership expands at a faster rate than your resources… well, then you might have some sympathy for the people running your local transport lines. And if not, at least you’ll still be playing a really smart and refreshing puzzle game. Are you up for the challenge? Here’s a look at why Mini Metro is such an engaging play. Connect the dots: You’ll start from scratch with each challenge: circle, square, and triangle stations appear on the empty map, and you’ll connect them with your finger to create lines and get passengers moving between them. Over time, more and more types of stations will appear, further complicating the situation, and you’ll find even more passengers who need to get around—and they don’t like to wait. Know the feeling? Fresh resources occasionally present options, depending on the location. After each week of successful service, you’ll get another train to add to the system, along with a bonus like an extra line, carriage car, or tunnels/bridges to overcome breaks in the map, and you’ll need to implement them wisely to prevent overcrowding. Before too long, the game will end: Mini Metro isn’t meant to be an ongoing simulation that spans huge stretches of real time, but rather an exercise in delaying the inevitable. How long can you keep the train system running before it collapses… and then how can you learn from your mistakes to do better the next time around? 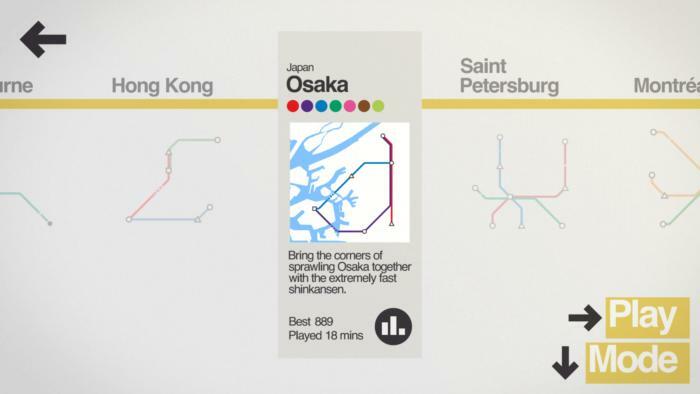 Little training: Mini Metro’s 11 maps are all based on real-world subway systems, from London’s tube to New York City’s boroughs and Osaka’s swift Shinkansen bullet train lines. Granted, they all share the same blank backdrops, black shapes, and colored lines in Mini Metro, but vary in how and where the stations appear over time, what kinds of obstacles you’ll deal with, and how quickly the trains move. And since new station locations are procedurally generated, each map play-through is different. Looks like this is the end. Sorry, passengers. 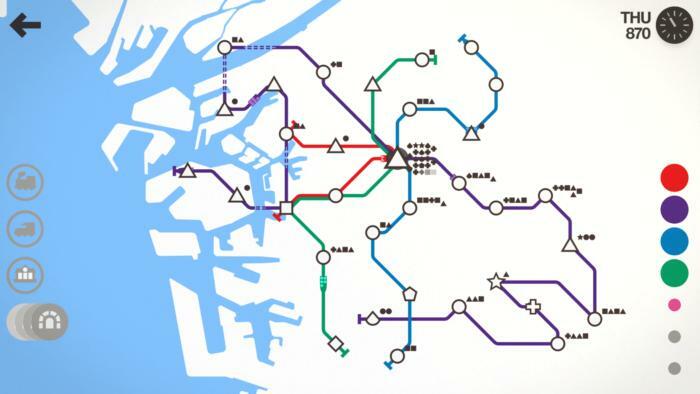 Furthermore, Mini Metro’s initial tutorial is as bare as can be and simply imparts the basics, otherwise you’ll learn by doing as you connect the dots and start to glean strategy through failure. There are breezier and more approachable puzzle games on the App Store, but Mini Metro is an especially satisfying one that encourages experimentation and pushes you to tweak your lines and layouts until everything hums along perfectly—at least for the moment. 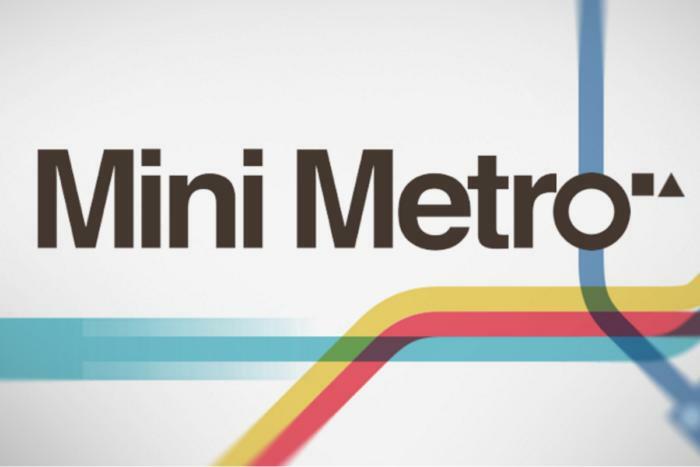 Minimal Mini: Mini Metro is perfectly presented. 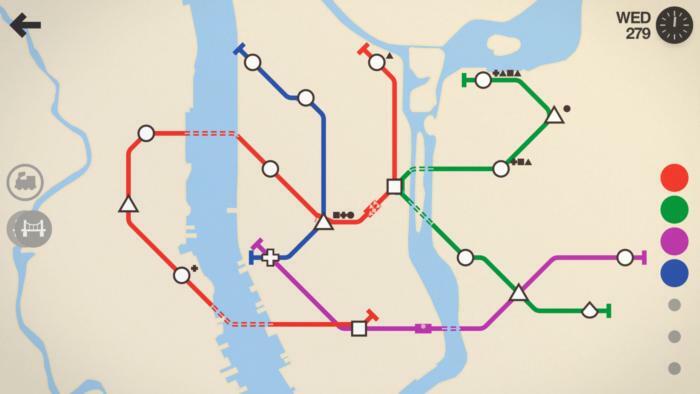 It doesn’t have lavish graphics, but it really doesn’t need them: the game expertly uses a universal aesthetic that everyone already knows, allowing you to create a subway system by essentially creating a subway map. Only this map has little colored rectangles that chug along between the shapes that constitute stations, and there are real stakes behind the simple symbols. Each map offers up a fresh challenge, and each attempt feels fresh thanks to randomized station positions. How exactly everything works may not be obvious at first, but once it clicks, the visual style makes total sense. And really, that’s true of the entire experience: Mini Metro’s trial-and-error design makes it a joy to play with trains in this tactical manner, and this challenging gem rarely feels overwhelming or overcomplicated.